Are you worried that you or someone close to you is suffering from compulsive overeating? If so, help is at hand. Here, we tell you more about overeating, the signs and symptoms of compulsive overeating, the help and various treatments available and the associated risks. Addiction Helper have helped over 10,000 individuals seek help, support and treatment for various addictions including addiction to food and various other related eating disorders. We have access to all the latest information on treatments available for the successful recovery from eating disorders such as compulsive eating. We will do all we can to ensure that you are armed with the facts of compulsive eating disorder and assist you in finding you the best treatment possible in order that a full and lasting recovery can be made. What Is Enabling a Compulsive Overeater? Usually with every compulsive overeater, when the individual reaches a stage of not being able to self-care or leave the house due to physical complications associated with being morbidly obese; in order for them to continue to overeat, they will enlist the help of someone that will enable them in their addiction. Often this is a significant other, partner, parent, child, or close friend. The compulsive overeater will make the enabler feel guilty, manipulate, scream, shout, cry, or just generally make life very difficult for them if they do not conform to their wants and needs in their addiction to food. For an easy life, the enabler who often has traits of Co-dependency and fears rejection or not being needed, will see to the food addicts every want and need; further enabling them to continue to compulsively overeat. If you feel you are enabling a loved one to continue to overeat, it is vital that you seek professional help, both for the compulsive overeater and for yourself. If you recognise yourself as enabling them, please read our page on Co-dependency, which will help you to better understand the condition and how to access the best help and support possible. Why Can’t Compulsive Overeaters Control Their Food? Compulsive overeating is more than just a physical addiction to food. The sufferer is trying to compensate for an imbalance that they feel inside, often described as a “void they are trying to fill”. By compulsively overeating they are avoiding sitting with uncomfortable feelings and emotions. When not compulsively overeating they will often feel, agitated, dissatisfied, irritable, depressed, anxious and on edge. Addiction is an illness of the mind that manifests physically in an addiction to a substance, person or activity. For a Compulsive overeater, food addict, or binge eater, food provides the individual with feelings of comfort, warmth and ease, similar to that of a drug addict or alcoholic. However as the addiction is related to food, which is a necessary fuel for the body to function, they find themselves head on with their addiction on a daily basis. Obviously, they cannot abstain from food, as an alcoholic or addict must with their substance they are addicted to. Compulsive overeaters have to learn to abstain from the maladaptive behaviours and certain trigger foods that are associated with their condition and receive appropriate treatment for the psychological aspect which is the driving force behind the addictive illness. At What Age Does Overeating Start? 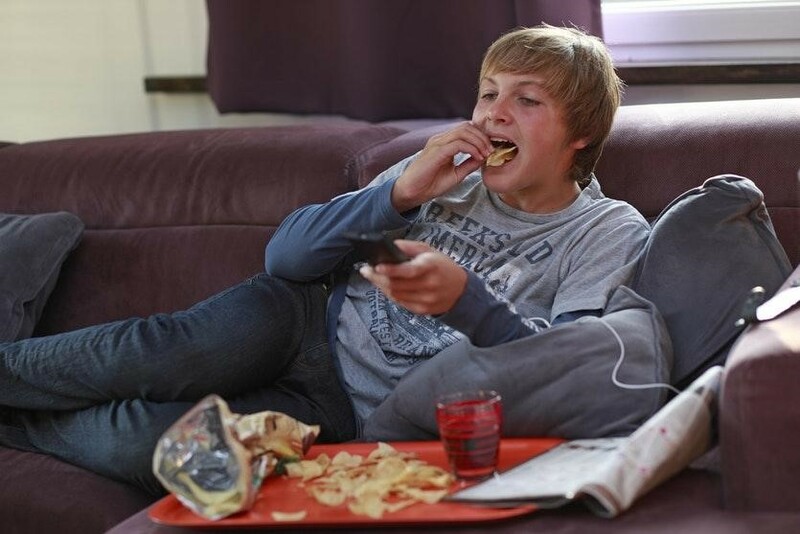 Compulsive overeating and binge eating usually starts out as what is known as comfort eating during childhood and teenage years; this can then progress into to a full blown compulsive overeating or binge eating disorder most commonly during teenage years and adulthood. The child will comfort eat to ease and deal with emotions and feelings that they do not understand how to process. There can be many causes for this illness manifesting, which we will cover in the next section. A learned behaviour from major caregivers; statistic show that if the parents suffer from this disorder, the behaviours are usually passed on to their children as they are subjected to continual bad food choices, uneducated around healthy eating and encouraged to eat foods high in calories and large portions. Usually there is a lack of emotional presence and love from the major caregivers, who will encourage food as a replacement for their own failings and as a reward. The child is struggling to cope emotionally with a dysfunctional family unit, such as abuse, neglect or parental breakup and so turn to food to comfort themselves. Again this can lead to Compulsive Overeating and food addiction as they learn that food helps them to deal with uncomfortable emotional feelings. Whatever the cause for the compulsive overeating, as an eating disorder it is classified as a serious mental health illness. It should be treated very seriously and with the assistance of qualified professionals, health advisors and specialists. How Does Compulsive Overeating Affect the Body? Compulsive overeating can have many damaging effects to the individual’s body and in the worst cases can lead to premature death from too much stress being placed on the body’s organs. 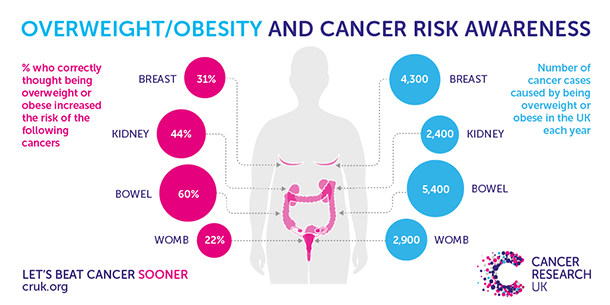 The following graphics demonstrate the impact of obesity in men, women and children. Psychologically the impact will also be huge; leading to lack of confidence, low self-worth and self-esteem, bullying in childhood and adulthood, maladaptive behaviours and isolation from others for fear of being judged. Can Compulsive Overeating Increase Your Risk of Developing Cancer? Most overeaters are filled with shame, self-loathing and disgust which can culminate in a severe depression. Overeating usually leads to weight gain and obesity, and this reinforces compulsive eating. The worse an overeater feels about themselves, the more he or she will use food. It’s a vicious cycle. 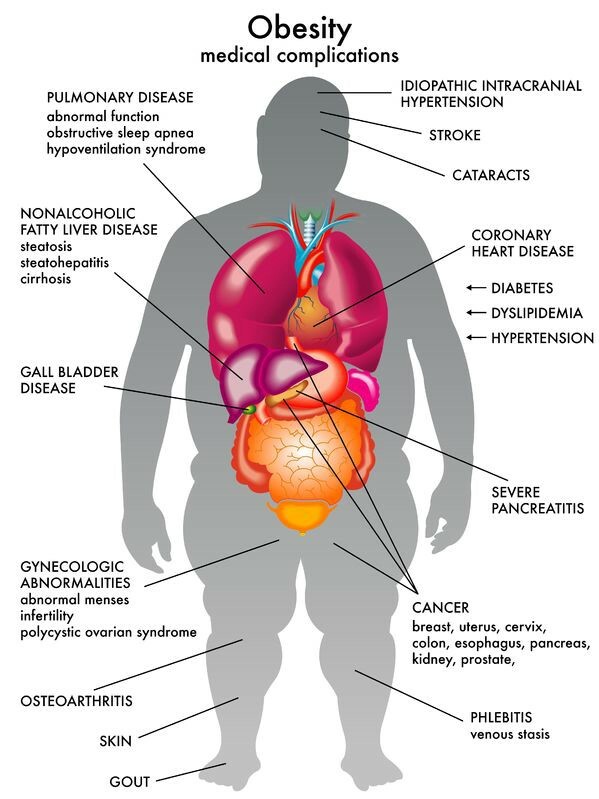 The most prominent physical symptom of overeating is obesity. 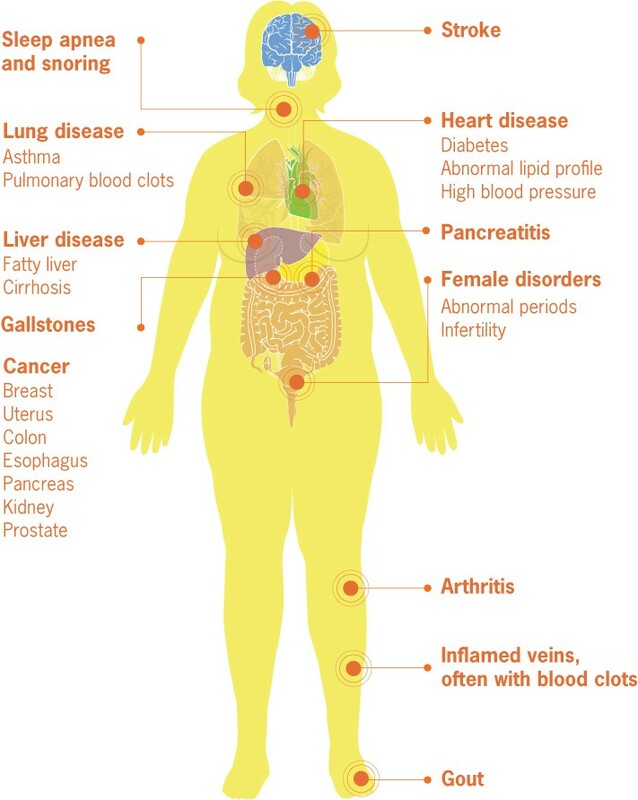 And this can lead to a whole range of serious problems, including type 2 diabetes, high cholesterol and blood pressure, joint and muscle pain, sleep apnoea, certain types of cancer and heart disease. It’s important to note that not all overeaters are overweight so do look out for other signs such as food disappearing from cupboards and the fridge, and hidden stashes of high calorie foods. Whether overweight or normal weight, there is one thing that they both have in common and that is their complete lack of control around food. Some compulsive overeaters will try numerous diets, but because of the mental compulsion to eat, they can never stick to them for very long, if at all. If family are challenging them over their compulsive eating, it is likely that they will try and hide it more if they are not ready to accept help; this may manifest in symptoms such as going out to binge on junk food, taking stashes of food to their rooms, eating in secrecy when the house is empty or in the middle of the night. Most compulsive overeaters, unless they have an unusually fast metabolism or are exceptionally active, will gain weight. The more weight they gain, the more sedentary they are likely to become. The compulsive overeater is likely to feel extremely frustrated with themselves each time they binge eat; or perhaps they are not even aware that they have a problem. Some can and do suffer from Body Dysmorphic Disorder and have an inability to see themselves as they really are. To others they are clearly obese, but to them they feel they are of normal weight. BDD also requires professional psychological treatment in order to overcome. Others will be in denial around their food addiction and do not see that they have an obvious problem in their relationship with food. Compulsive overeating, also referred to as binge eating disorder is similar to other eating disorders, in that the individual has an unhealthy emotional relationship with food. 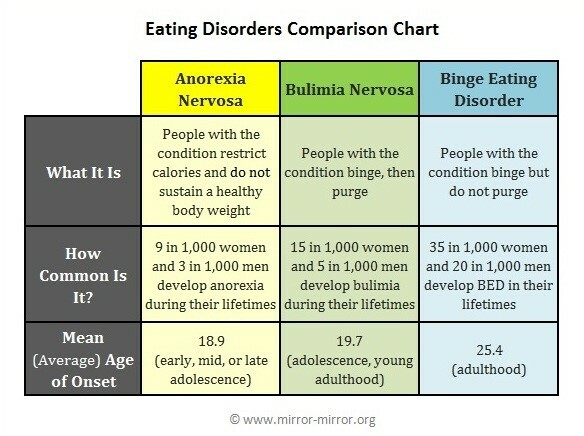 This compares the most common eating disorders and their relevant statistics. 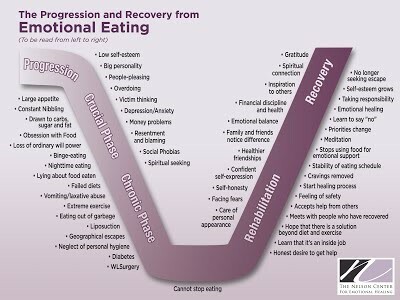 As a chronic and very serious mental health eating disorder, compulsive overeating cannot be cured as such, but it can be successfully treated; from there, it is up to the individual to implement what they have learned about themselves and their illness into their daily lives in order to maintain their recovery. Addiction Helpers rehab services provide treatment programmes for all types of eating disorders, including compulsive overeating. We use proven and highly effective treatment methods, including CBT, DBT, Interpersonal counselling, Process counselling, group therapy, Psychotherapy and Trauma therapy to treat the mindset of the compulsive overeater and show them healthier ways of processing and dealing with their emotions without turning to food to suppress or avoid them. We combine these talking therapies with a number of proven holistic therapies and treatments and also a carefully devised eating plan that will be tailored to the individual’s specific treatment and dietary requirements. We prefer to treat eating disorders on an inpatient basis, as abstaining from disordered eating can be extremely difficult especially in the early days, especially whilst tackling the root issues underpinning the addiction to food. Generally, we recommend an 8 to 12 week inpatient primary care programme as it takes time and adjustment for the compulsive overeater to process and put into practise their new healthy attitude and relationship with food. We also offer secondary care programmes and tertiary care programmes to assist the individual with integrating their new and healthy approach to food within the community. How Do I Stop Compulsive Overeating at Night? 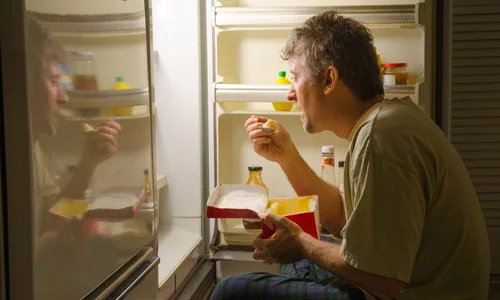 Some individuals manage to keep control of their eating whilst busy during the day, but then find themselves repeatedly binging and overeating in the evenings or during the night. Some even wake up in the middle of the night and raid the fridge and cupboards. They have no conception of what hunger is and often equate it to a feeling of uneasiness and emotional discomfort. Even if you or a loved one is only compulsively overeating at night, it is a disorder that requires professional help and treatment in order to overcome and break the cycle. Is Compulsive Overeating a Disease? Compulsive overeating, binge eating disorder and food addiction are serious mental health illnesses and can be classified as an addiction which is a chronic relapsing brain disease. So whilst there is no cure for compulsive overeating, like other eating disorders, it can be successfully treated and recovery maintained from there. Compulsive overeating is a disorder of the brain that outwardly manifests in an unhealthy obsession and relationship with food and emotions. 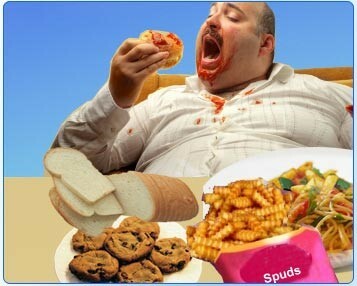 Once the individual starts to compulsively eat, they are unable to control the amount they eat, what they eat, or stop. They will usually continue until they are physically unable to fit any more food in or are experiencing pain and discomfort. Some will eat all day long with very short breaks in between, making bad food choices and eating more than what is considered normal. How to Treat Compulsive Overeating? Compulsive overeating, food addiction and binge eating can all be treated very successfully with a number of treatment options available. Here we will tell what is likely to work and what is not likely to work. Will a diet club or gastric band stop my compulsive overeating? If you suffer from an eating disorder, treating the physical aspect by limiting your food intake is unlikely to have a lasting effect. 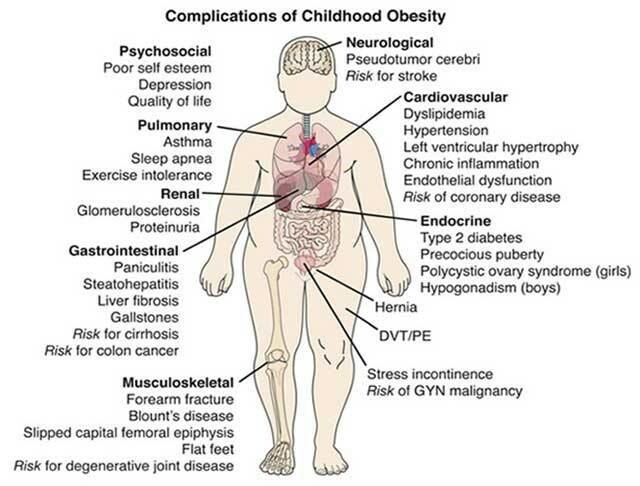 The reason for this is that without intense psychological and therapeutic treatment, the individual will still be compelled to eat; this can lead to slowly stretching the gastric band over a period of time, liquidizing foods high in calories so they can be consumed, or in the most severe cases the stomach rupturing. Diet clubs can be helpful in educating you around healthy eating habits, but again we would emphasise that in order for a measure such as this to be successful and have longevity, the individual must also undergo a profound change in their thinking and relationship with food. Will a boot camp help me control my overeating? Boot camps are something that became very popular in America and aimed at tackling compulsive overeating. A compulsive overeating boot camp should also professionally treat the psychological aspect as well as the physical manifestation. Again without treating the mental side and the underlying causes of the compulsive overeating or binge eating, recovery will only be short term whilst within the controlled environment. So far, in the UK, there are no boot camps that address this as a mental and physical illness; so a boot camp is very unlikely to work in the long term. What treatment is available on the NHS for compulsive overeaters? The NHS have very limited resources when it comes to helping an individual with an eating disorder such as compulsive overeating. Most will be treated on an outpatient basis at their local GP surgery with monitoring of their diet and a referral for some counselling. For an individual who has little or no control around their food intake, this often is not intensive enough, as in between appointments they still have to face food alone.. Referrals to Eating Disorder Associations and Counsellors take time and gastric operations are only rarely performed on the NHS when a strict criteria is met and the individual’s condition is considered life threatening; even then, they have to fall within a certain BMI limit for the procedure to be considered safe. This often means that those considered to be in life threatening condition have to lose weight first in order to be able to qualify for a gastric procedure that will limit their food intake. Are there meetings and support groups for compulsive overeaters? Yes, there are free self-help groups that can support an individual with an eating disorder. Help can be sought from Overeaters Anonymous and Food Addicts Anonymous (which is less well known in the UK). Both follow an adapted version of the 12 steps alongside a healthy eating plan. But as it is not monitored or run by professionals we would still encourage you to seek additional psychological treatment for a full recovery. Can you go to rehab for compulsive overeating? Yes you can, although this is only available through private rehab. The NHS do not offer rehab to compulsive overeaters, so it would mean you or your family funding the treatment. Realistically, if possible, this is the most successful treatment option as it provides a safe and controlled environment that will address both the physical and mental aspect comprehensively; thus making a full and lasting recovery possible. How do I get into private rehab for compulsive overeating? By calling Addiction Helper, you will receive a free comprehensive assessment of your or your loved one‘s specific treatment needs. We are passionate about saving lives and highly skilled and trained in helping those with any kind of addiction or eating disorder. Following an assessment we will suggest the most suitable treatment plan and rehab, which will be carefully selected from the over 100 approved and CQC regulated private rehabs that we work with here in the UK and Overseas. We want to ensure that you or your loved one get the best treatment possible for your condition, so will take all relevant factors into consideration before suggesting an individualised and comprehensive treatment plan. Once a rehab and treatment plan has been agreed, we can then arrange your admission, urgently the same day where necessary. Our rehabs are staffed by qualified and experienced addiction experts such as Doctors, Nurses, Psychologists, Counsellors, and Dieticians, Body Consultant specialists, Holistic therapists and Support workers. We can provide you with an inpatient programme, where you will be supported 24/7 whilst undergoing intensive therapeutic treatment and abstaining from destructive and maladaptive eating behaviours. Our rehabs will provide you with the tools in order to maintain ongoing recovery once you leave the treatment environment; we will also ensure that the causes underpinning your compulsive overeating are fully addressed and resolved. If you or a loved one have suffered trauma in the past we do have a select number of rehabs that specialise in the treatment of trauma and will talk you through all of your options so you can make an informed decision as to where you want to go. We only work with rehabs that have excellent success rates, used evidence based treatment methods and follow strict medical and therapeutic protocols and work ethics. Furthermore, for all those that complete their treatment plan, 12 months of aftercare will be provided by the rehab free of charge. We also understand that the family are hugely important in each patient’s recovery and will endeavour to educate and support the family and show them how to support their loved one’s recovery when they return back to the family unit. If you or a loved one needs help for an eating disorder, don’t waste valuable time; call us today for free, confidential and immediate expert help!